So why might the one without a helmet be disregarding his blade? Or should I play to find out? To me it looks like the weaponless templar is trying to show her he cares and isn't going to attack. 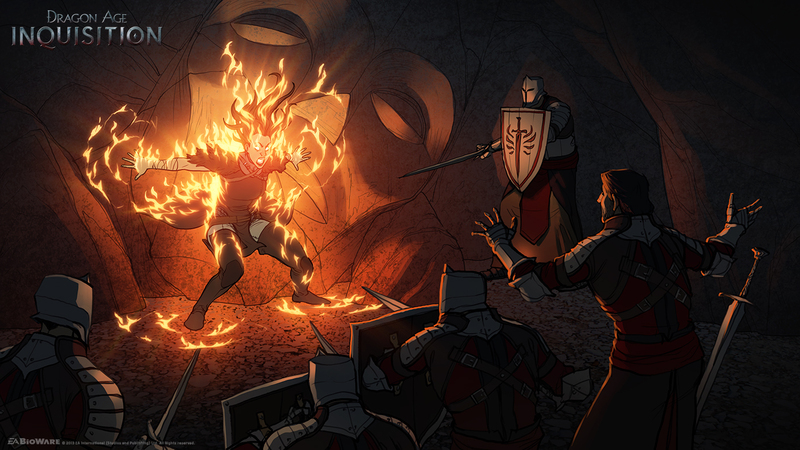 The templars have to protect themselves here, but maybe it's less of a violent showdown and more trying to help her? An interesting flipside of the Apostates piece, IMO. Lovely work!